The act of committing an abortion is comparable to the atrocities conducted by the Nazi Regime. 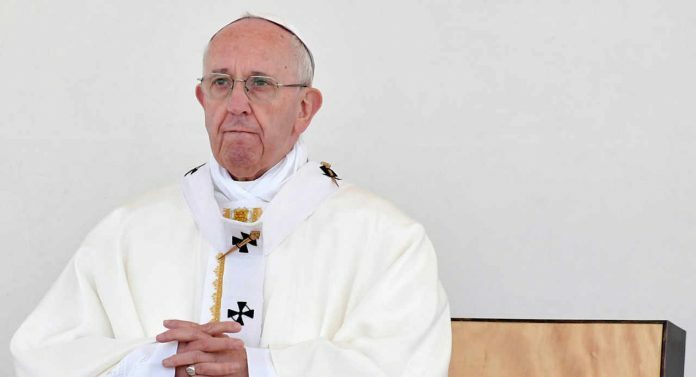 Pope Francis on Saturday compared abortions with eugenics and said that the use of abortion to terminate pregnancies likely to produce disabled or chronically ill children is the product of a Nazi mindset. The Vatican later confirmed the statements as being issued by the Pope. The firm stance against abortion is in line with Catholic doctrine and the teachings of Scripture. However, as of late but before the statement by the Pope, the Catholic Church has recently been weakening its stance on abortion. In 2017, the Pope appointed a pro-abortion professor to the Vatican’s Pro-Life Academy. The Pope’s statements refer to a practice known as Eugenics which is the science of improving a human population by controlled breeding to increase the occurrence of desirable heritable characteristics. At one point in time, before World War II, the practice of Eugenics was legal in the United States and was openly supported by the United Nations. Historically, the method of eugenics is what arguably has led to the modern pro-abortion movement. Wrapped under the guise of “a woman’s right to choose,” is the buried truth regarding a woman named Margaret Sanger. Sanger is the founder of Planned Parenthood and was a stark advocate for eugenics and enforcing limitations on the ability of ‘people of color’ to reproduce. However, Sanger was not only interested in creating limitations on other races; rather she was involved in attempting to limit the ability of those she deemed “unfit” to reproduce. The dark history of abortion leads directly to the practice of eugenics and is clearly a method of “population control.” To abort a child, the murder of an innocent child, because there is a possibility of complication regarding the life of the child is comparable to the atrocities of the Nazi Regime.